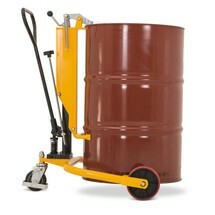 This drum lifter with tiller operation enables quick and simple transport of beaded steel drums on your premises. The drums are raised and moved by means of the user-friendly tiller lift. 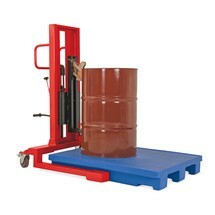 These drum lifters enable ergonomic and time-saving handling of 200 litre steel drums. Our range includes special versions for picking up pallets from the front or from the corner.